Welcome to the Autumn 2016 UK-QSAR Newsletter! The autumn UKQSAR meeting is almost upon us (19 October) and it marks our first visit to the Institute of Cancer Research in Sutton. Registration closes on 7 October so make haste if you haven’t booked already for what promises to be an excellent meeting. Looking a bit further ahead, our spring 2017 meeting will be held at Syngenta near Bracknell on 26 April 2017 and any ideas for themes or speakers would be most welcome (ukqsar@ukqsar.org). Further out still we have preliminary plans in place for events to be hosted by C4X and a joint event with the MGMS in Cardiff with details to follow in due course. UK-QSAR meetings are often oversubscribed so do register asap to avoid disappointment. If you have registered already but can no longer attend PLEASE LET US KNOW so we can release your place. Some suggested pre-meeting reading material is available should you wish to explore some of the upcoming topics in more detail ahead of the meeting. We also feature an article from Henriette Willems about the new Alzheimer’s Research DDI which has recently been established. The ICR was founded in 1909 as The Cancer Hospital Research Institute, a small research laboratory within what would become The Royal Marsden in Chelsea. Throughout the 1930s, 40s and 50s, ICR researchers carried out important early work on the role of chemotherapy, developing melphalan and chlorambucil – two drugs still used to treat cancer today. In the 1970s and 80s, the ICR helped to develop carboplatin, a drug used to treat solid tumours with fewer side-effects than the existing treatment (cisplatin). The 1990s saw the discovery of BRCA2, an important gene in the familial inheritance of breast and ovarian cancer. 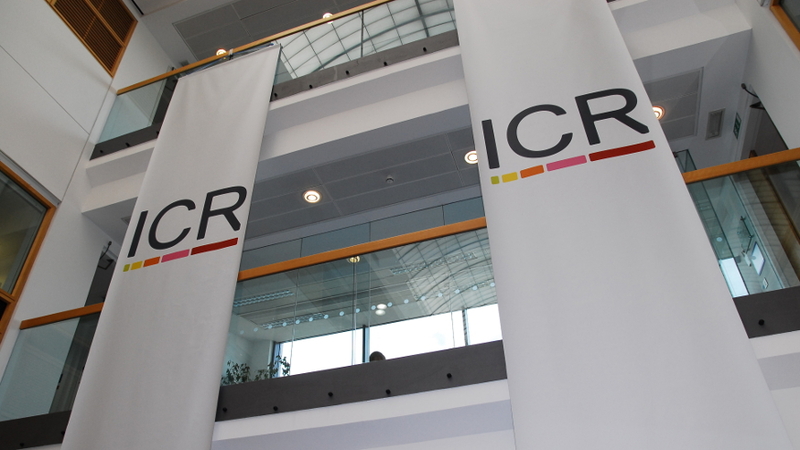 Since 2005, the ICR has discovered 20 preclinical drug candidates, and has taken eight new drugs into clinical trials. One of those was abiraterone, approved by NICE in 2012 to treat advanced prostate cancer. You’ll also find the regular articles on Jobs and Upcoming Meetings. As ever, please send any feedback or suggestions you have for future newsletters to Susan Boyd at newsletter@ukqsar.org. The upcoming meeting features a diverse range of topics, covering Free-Wilson models, de novo design of bispecific ligands, predictive ADMET, a structure-guided kinase inhibitor med chem story, phenotypic screening approaches,conformational sampling of macrocycles, drug combination strategy and molecular surface comparison. The bar will be open after the conclusion of the meeting and as is usual, there will be a (self-funded) dinner the evening before for people who will be spending the night in Sutton. The first integrated drug discovery institute at the University of Cambridge has recently opened its doors. The Alzheimer’s Research UK Cambridge Drug Discovery Institute has been founded to drive the development of the next generation of medicines for a range of neurodegenerative diseases. The Institute will build collaborations with Cambridge neurodegeneration researchers, developing drug discovery projects based on the world‐leading research carried out at the University. The Institute is headed up by Chief Scientific Officer (CSO), Dr John Skidmore. Dr Skidmore will work alongside the Lead Academic Scientist (LAS) Prof. David Rubinsztein to develop a portfolio of drug discovery projects progressing from biological target to in vivo proof of concept. The overall aim of the institute is to fast‐track promising academic science into benefits for people with dementia. Alzheimer’s Research UK has committed £10m funding to the Cambridge Drug Discovery Institute over 5 years. A small team of chemists, biologists and a computational chemist have recently been recruited to work together in the Drug Discovery Institute, located on the Cambridge Biomedical Campus. Further recruitment is planned and the Institute is set to grow to 20-25 scientists over the next 12 months. The Institute is part of the Alzheimer’s Research UK Drug Discovery Alliance, a network of Drug Discovery Institutes embedded within academic institutions across the world. Earlier this year, the Alliance launched flagship Drug Discovery Institutes at the University of Oxford and University College London, as well as in Cambridge. Aiming to recruit around 75 scientists across three Drug Discovery Institutes, all focused on neurodegenerative diseases, the Drug Discovery Alliance will be one of the largest and most coordinated efforts to find new drugs for dementia that exists. Each Drug Discovery Institute will support research through the critical early phases of drug discovery, focussing on target validation and hit-to-lead, but each will have its own unique focus.